Instead of being overwhelmed by the long list of Old Testament names when one begins to read Matthew’s Gospel, one should ask, why did this Gospel start this way. After all without the birth narratives, of which the genealogy is a part, it still would have made sense. Didn’t Mark’s Gospel begin with the baptism? What is the reason? I suggest that it is because the author of this gospel was writing for Christians in Antioch sometime in the eighties. The Antiochene church was a mixture of both Jewish and Gentile Christians, with the former led by Peter very influential (don’t forget Paul lost in the debate with Peter and Barnabas sided with Peter in Antioch and explains the prominence of Peter in Matthew's Gospel). So it is these Christians that the author of this Gospel has in mind when writing. What a better way of beginning than tracing the Jewishness of Christ, but one associated very much with the idol of Jewish History – David. Jesus must be a descendant of this dynasty. Hence unlike Luke who also has a genealogy but approached in the reverse order, ancestors rather than descendants, and traces this back to Adam, Matthew begins with Abraham. For Luke Jesus is “the Son of God” but for Matthew Jesus is the promised Messiah. He manifested a particular interest in Jesus being the Son of David, unlike the other evangelists. He used the term at least seven times (1. 1, 20; 15.22; 20.30; 21.9, 15; 22.42). It is interesting half of these feature in connection with Our Lord’s journey into Jerusalem before the Passover, the event that Jews still anticipate the coming of the promised Messiah. Thus Matthew begins his genealogy with the title “The birth record of Jesus Christ, son of David, son of Abraham. This is a similar opening to other genealogies found in the O.T. Compare with Gen. 5.1 “The record of the genesis of Adam” – a formula that introduces the Noah story. Note too that Luke has more names, even in the period that is covered by both (56 to 41) which is nearer to the mark. Note that “son of David” precedes “son of Abraham” – this is the more important for Matthew. Yet from the “son of Abraham” will come all nations, illustrated in the magi. When one examines the genealogy of Matthew it is divided into three sections, each supposedly of fourteen generations. For example between Boaz and Jesse there is almost a four hundred period, but only three generations are accounted for. But 3x14 also equals 6x7 with Christ being the seventh - the completion or the fullness in Jewish thought. However it is obvious there is more than fourteen generations in each section. But for Matthew 3x14 is God’s plan for salvation. But 3x14 also equals 6x7 with Christ being the seventh - the completion or the fullness in Jewish thought. Did Matthew use another genealogy in compiling his as there were already some in the Old Testament? For example in Ruth and Chronicles. When compared with these two there are striking differences. The obvious is that Matthew’s is succinct as he is only concerned with those who belong to the tribe of Judah that became associated with Jerusalem when David conquered that city and transferred his capital from Hebron. What is also interesting about the Matthean genealogy is that it is not based on primogeniture or virtue (for example it is Isaac not Ishmael, it is Judah not Reuben; Jacob is deceitful and his fourth son by Leah, Judah, has his line continued only by devious means). Another fascinating feature of the genealogy is the presence of women. Putting aside that men gained their Jewishness through their mothers, there is more than that here. Each of the women have some smear attached to them and all who were foreigners or the wife of one. Yet they were needed to preserve the house of Judah/ David for the coming of the promised Messiah. In the first section, the first of these mentioned is Tamar who by her initiative perpetuated the family line of Judah’s son, Er, who was her deceased husband. According to Deuteronomic law (25.10) the next of kin is supposed to marry the widow. Onnan the second son, refuses to complete the sexual act. When the father’s wife dies, Tamar duped him into having sexual relations with her and she gave birth two twins – Perez and Zerah. Afterwards it was maintained that she had done this because she had faith in the messianic line (Gen. 38.13- 36). Her seduction meant that the line of Judah was secure. Note however all this happened before the Israelites had the Law – this is patriarchal times. So the editor is projecting later practices on a more primitive age in order to fulfil the messianic hope. Hence the mention of Tamar who is also mentioned in Chronicles’ genealogy (2 Chr. 2.4). (David had a daughter called Tamar who was raped by her half brother, Amnon and then slain by Absalom (2. Sam. 13-4). The second woman Rahab was an harlot who hid the two Israelite spies sent out by Joshua to reconnoitre the land when the king of Jericho heard of their spying. She way-lays the king and makes a bargain with the two – she will let them down by rope to escape provided that she and her family would be spared when Joshua invaded (Jos. 2). She is portrayed as a heroine not a harlot, and a woman of faith in later Christian writings such as Hebrews (11.31) and Clement (12.1). In his genealogy Matthew has Salmon fathering Boaz by Rahab who, we have seen lived at least two centuries previously. Was this because in rabbinic tradition the harlot Rahab married Joshua? Was Matthew confused? Historically as it stands she does not play a part in the messianic line. Ruth is the third woman mentioned. She too is an enticer when she lay down with Boaz (Ruth 3.16-15). They have a son Obed who is father of Jesse, the father of David. So she is important in the securing of a messianic line. In the second section one woman is mentioned, not by name but as the wife of Uriah. Bathsheba, the adulteress, and wife of David who gave birth to Solomon the builder of the Temple. 2 Sam. 11.2 -5; 1 Kgs 1. 28 – 40. Why does Matthew make a point of this and indicate that she is the wife of Uriah? After all it was David who desired her (2 Sam. 11) and had Uriah killed when he knew she was pregnant. Yet it is she who pressed David in his old age to name Solomon as successor (1 Kgs.1). Does Bathsheba’s predicament pre-empt Joseph’s dilemma? He had thought that Mary had been unfaithful until God intervened. But surely there is a great difference. Instead does not this statement echo the tragic aspect of D’s own life when his sons fight to become his successor that spring from his great sin, and divide the kingdom. Nevertheless the kings of Judah survive, even exile, but not until the coming of the Hellenists and Romans. In the third section Mary is named. The account that follows in Matthew reveals what Joseph believed as scandalous about Mary. God intervenes and tells him otherwise. Each section of the genealogy introduces an important history in the life of the Israelites – a beginning if you like. The first section introduces the Patriarchs, “The God of Abraham, Isaac and Jacob”, and continues until the time of Jesse, a period of about 1, 000 years. The Israel nation, the promised nation of Yahweh began when out of the blue God calls Abram and his family from Haran. Previously “Terah took his son Abram, his grandson Lot [and] … set out from Ur of the Chaldees for Canaan. But when they reached Harran they settled there” (Gen. 11.31). In Haran Yahweh tells Abram ““Go out from your land and your clan and your father’s house to a land that I will show you” (12.1-20). It reveals God’s plan for another beginning (already seen with Noah and the Flood), but with one who will be “the father of a great nation”. There is no indication of Abram’s reaction. He went as the Lord directed. This has always been taken as the example of faith and obedience long before the imposing Law. At Shechem Abram built an altar. The terith of Moreh, a sacred tree nearby, indicates that an ancient Canaanite cult already existed here. While Abram is here God promises to give him the land of Canaan. Later on Jacob is said to have bought a place of settlement from the Hamorites who occupied Shechem (Gen. 33.18-20), and Joshua summons all the tribes here (24.1). At Hebron an altar is also built. Nearby is the sacred tree of Mamre (13.8), again suggesting that it is already a cult centre. Later on it becomes David’s first capital. At Beer-sheba Abraham would plant a tamarisk tree (21. 31-3). Isaac has a special conection with this place (26.23) as here Yahweh reveals himself and assures him that he will be blessed just as his father was. Isaac builds an altar. On his journey between Bethel and Ai Abram built an altar. Bethel became associated with Jacob on his journey from Beer-sheba to Haran with the stone pillar and the dream of angels ascending and descending the ladder. God appears and reveals himself as the God of Abraham and Isaac, and that he too will be blessed (Gen 28. 19.21). Abram had travelled with his nephew Lot, and they agree to divide the territory (Gen. 13. 1-18). The imagery hinted at here is of Abram walking the length and breadth of this land as symbolic of his possessing it, even though technically not really his at the Canaanite possess it (13.1-18). After the division the previous promise to Abram is repeated who finally settles near the terebinth of Mamre. Abram is blessed by Melchisedek – this foreshadows Jerusalem as the holy city under David ( Gen. 14.1 -24). The crucial chapter in Abram’s calling by Yahweh is in chapter 15 where He makes a covenant with His servant. In verses 1-6 what is later would be called a prophetic formula begins the chapter - “The word of the Lord came to me” i.e. to Abram. Note that the Lord greets Abram with those words that Mary and Joseph will hear years later, “Fear not!” and Abram’s reply expresses the same doubt as Mary’s – in his case no offspring. Then in verses 13-16 Yahweh’s promise will be fulfilled with Abram’s descendants. The significant aspect of this chapter is Abram’s faith. Nearly two thousand years later Paul would take this act of Abraham as one of righteousness. “Abraham believed in God, and it was credited to him as righteousness” (Ch.4). That is, God called Abraham, a gentile, an idolater, an ungodly person, and when Abraham heard God calling he acted in faith and was accredited to him as righteousness. The point that Paul is making is that God’s covenant with what became the Jewish nation, was made with a non-Jewish person. And it was made before God made a covenant with that nation that would set it apart from others through the rite of circumcision. It follows that Abraham became the father of both Jews and non Jews. So Abram call to faith represents all peoples. It is faith that begins this incredible journey which leads us eventually to Christ. In Him we are made righteous. Our faith enables us to acknowledge this. In ch. 17 there is another account of the covenant that God makes with Abram whose name is changed to Abraham (just as later on Jacob’s name will be changed to Israel). This is the Priestly account written 1500 years later. This covenant is seen as a contract. God will give Abraham and his many descendants blessings untold but he must walk blamelessly in God’s presence. So here the covenant is not made only with Abraham but also with his descendants that it is an everlasting covenant – Being the P account it anticipates that covenant that will be made at Sinai. The sign of observing this covenant was circumcision. Yahweh promise to Abraham is that he will be the father of a great nation, but as yet he only has a son by his wife’s slave, Hagar, Ishmael. One of the loveliest accounts in Genesis is the visit of the three mysterious men to Abraham by the terebinths of Mamre (said to be the subject for Rublev’s famous ikon of the Trinity) announcing the birth of a child to Sarah (18. 1-17). In due time the son, Isaac, is born and we are told circumcised, but this is a priestly account (21. 1-5). In due time Abraham is put to the test of faith when asked to take his son and make a sacrifice in the land of Moriah. He obeys and when raising the knife, the angels intervenes and a lamb is found caught in a thicket. His obedience brings another assurance of his fathering a great nation (22. 1. 18). It is time for Isaac to have a wife and his father insists that he returns to their home in Haran. Genesis ch.24 describes the details of this – of how the servant met Rebekah at the well and is brought to the home and introduced to her brother Laban. The wedding is arranged. The Isaac section of the patriarchal story is thin in comparison with that of Abraham and Jacob. First thing to note it is the younger that is important in this genealogy. Rebekah had twins – the elder was Esau and the younger Jacob (25.19-26). Jacob manipulates Esau to sell his birthright (25.27- 34). The mother favoured the younger and so she encouraged him to be given his father’s blessing as he is dying. So dressed as Esau but with voice of Jacob he approaches his father with the dish his mother has prepared. Although cautious because it is not Esau’s voice, he is hoodwinked when he felt Jacob (his mother had him disguised as Esau) and thus gives the blessing 27.1-30). It is interesting to note that the narrator does not pass judgment on this deceitfulness of Jacob, and comments, “the elder will serve the younger” (Gen. 25.23). Like Isaac Jacob returns to Haran for a wife. Here he finds Laban, much older and more difficult to deal with as he approached him to marry Rachel his younger daughter. He agreed to work seven years for her and when it came to celebrate the marriage he found he had been cheated – Leah the elder had been substituted for the woman he loved. So Jacob had to work for another seven years to have Rachel (27. 46-29.30). On his travels to Haran Jacob has his “Bethel experience”. This is a wonderful account of how Jacob came to know the Lord. He took a stone as a pillow to sleep and as he slept he saw a ladder whereupon angels ascended and descended with the voice of God announcing, “I am the Lord, the God of your father Abraham and the God of Isaac. This land on which you are lying I shall give to you and your descendants (28.10-15). On leaving Haran under darkness as it were Jacob has that experience at Peniel where he wrestles with Yahweh who changes his name to Israel. Jacob exclaims those wonderful words, “I have seen God face to face” (32.22-32). After the birth of his children (that become the 12 tribes of Israel, but only one important to Matthew – Judah, Jacob revisits Bethel and build an altar to the true God there and the family forsook all their idols and buried them at Mamre (35.2-8). Jacob begat Judah and his brothers. The whole saga of Joseph is overlooked, as is the first born, Reuben. Our attention is drawn to Judah, the tribe from which David descends. Judah is fourth son of Leah. Judah asked his brothers, what was to be gained by killing Joseph? Let us sell him instead (Gen 37. 26 – 7). Judah married his son Er to Tamar a Canaanite woman. Er dies as he displeases the Lord. As dictated by Levirate law, his brother must marry the widow if she dies childless. (note that this is pre Sinai). The second son, Onan, refuses to father a son for his brother - he dies. Judah is reluctant to marry his third son, Shelah, to Tamar. Eventually Judah’s wife died (38.13ff). Tamar takes the initiative, and ends up seducing Judah and having twins that preserved the line of Judah.. See also 1 Chron. 2. 4. Perez begat Hezron (1 Chron. 2.9. Ruth 4.19). All that we know about him is what is recorded in the two genealogies in the above two books. Hezron does appear in Gen. 46.12 amongst the descendants of Jacob. Hezron begats Ram ( 1Chron. 2. 9, 25, 27). There is a variation between the Hebrew and Greek here. The LXX of Ruth has “Arran”, and the LXX of Chronicles has two sons of Hezron – “Ram” and “ Aram”, but it is Aram who begets Amminadab. Other than this there is no more information, but seemingly important in this genealogy. Aram begats Amminadab (1Chron. 2.10). He is also mentioned in Num. 1-7 with Moses and the desert wanderings after the Exodus. What is happening with Matthew he has given 2 generations i. e. from Hezron to Amminadab which would cover at least 400 years. Amminadab begats Nashon (1 Chron 2.10). Numbers (2.3, 7.12) has Nashon as a leader of Judah during the desert wanderings. It describes how he offered sacrifice at the Tabernacle. Ex.6.23 states that his sister Elisheba married Aaron the levitical high priest. So it is not only Judah’s ancestory but Levitical too in Jesus’ ancestory. Nashon begat Salmon (Rahab) (Ruth 4.21, 1 Chron. 2.11. 1Kgs. 7. 21). This name does not appear elsewhere in bible. The fact that Boaz was the son of Rahab is a puzzle. The biblical Rahab lived c. 2 centuries before when the land was being conquested as already explained. The Book of Ruth gives a character sketch of Boaz who came from Bethlehem. (2.4). This announces the new family town, Bethlehem, that we know became associated with David and his dynasty. Boaz begat Obed ( 1Chr. 2.12 , Ruth 4.21). The Hebrew Scriptures tell us the only important fact about Obed – he is the father of Jesse. Obed begats Jesse ( Ruth 4.22). Jesse is important in this dynasty as he is the father of David. 1 Sam. 16.1 refers to him as the Bethlemite. The book of Samuel relates how the prophet, Samuel went to him to anoint one of his sons to be anointed as king as directed by Yahweh when Saul had disobeyed God. All sons present were brought forth, to each Yahweh told him that these were not the anointed. Lastly the youngest, a mere youth, who wass minding the sheep is brought before Samuel. Yahweh informs the prophet this is the one and he is anointed (there are now two anointed kings). Note once again it is not the eldest – in this case it is the youngest who will be the ancestor of Jesus. (1 Sam. 16). The first section ends on the brink of David succeeding to the monarchy and who will become the model for all rulers. This covers c. 500 years from almost the beginning of monarchy until the fall of Jerusalem in the early 6th century B.C. when king Jehoiachin is carried off into exile in Babylon. The author begins the monarchical period with David, not Saul. Previously the tribes were ruled by individual Judges, of which the major ones are charismatic military leaders such as Gideon (against the Midianites) and Samson (against the Philstines). Only Deborah acted in what we would regard in the capacity of a judge. (Note the song of Deborah in Ch. 5 is one of the oldest texts in the bible.) The book of Judges ends with these words “In those days there was no king in Israel; everyone did what he thought best.” – obviously an editorial comment. The last of the Judges technically is Samuel who is also a prophet and priest. During his early life the Israelites reached a very low ebb. The ark, the most treasured possession, which had been carried into battle to defend the Iraelites, had been captured by the Philistines (1 Sam. 4-11). When it was obvious that Samuel’s sons, Joel and Abijah did not follow the example of their father, the people approached Samuel to be given a king. The person who is anointed is Saul, a Benjaminite. There are two conflicting accounts of Saul and his anointing as king. The first is when Saul is looking for his father’s asses and he stumbles on Samuel who is instructed that it is he who is to be anointed (1 Sam 9, 10.16). The second is when Samuel calls the people to Mizpah who chose Saul as their king, “Long live the king” is their reply. Samuel grudgingly granted their request as he thought a king would be an oppressor. (1 Sam120.17-24). Although the Deuteronomist editor does not want us to see Saul in a favourable light he nevertheless was a capable leader who helped to deliver the Israelites from the threat of the Philistines that was finally achieved by David. Note too that it took David seven years to oust Saul’s weak son, Ishbosheth to become king of all the tribe. Still there was that dark side to his character, and the more reliable source of David coming to Saul’s notice is through his skill as a harpist to soothe the king’s melancholy (1 Sam. 16.14-23). When David is anointed by Samuel, Saul is still alive, but he lost favour in the sight of God for his so called disobedience in not killing all the Amalekites and their animals (1Sam. 15. 4ff), and eventually he and his sons were killed at Gilboa (1 Sam.31.1-6). 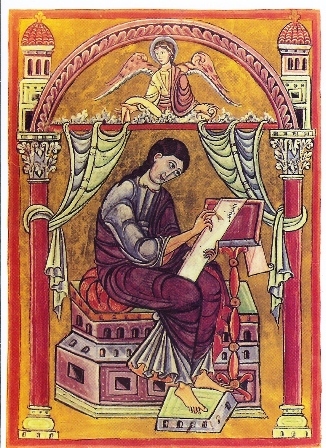 The Deuteronomist editor and especially the Chronicler wanted to portray David as the ideal king. Under him and his son, Solomon, the Israelite’s territory extended to what Yahweh had promised to Abraham. For the first seven years David is ruler of only the southern tribes, but eventually the supporters of Ishbosheth, especially Abner could see the future lay with David rather than a weak king. The northern tribes swear allegiance to David at Hebron and he is anointed king of all Israel (2 Sam. 5. 1-3). David captured Jerusalem from the Jebusites and made this the capital for all the tribes of Israel. It was indeed a stroke of diplomacy as it was neutral territory It was made the principal religious site by David to where the ark was brought and where Solomon would build the magnificent temple for Yahweh (1 Kgs.6-7), but in effect only a royal chapel attached to the palace. The ark was placed beneath the wings of the cherubim (1 Kgs. 8. 6-9). Jerusalem would become the holy city where pilgrims would gather for all the important festivals. “Hither the tribes would go up.” David also fortified the city. Solomon maintained the territory that his father had gained through combat, not so much as being a warrior like his father but through diplomatic alliances with surrounding countries such as Egypt, Tyre, Zidon, Moab and Ammon. Not long after Solomon’s death the northern tribes broke away and appoint Jeroboam as their king. From this point the northern kingdom ( the ten tribes) is known as Ephraim or Israel, while the southern, small in comparison to the north was known as Judah (the only tribe in this kingdom apart from the remnant of Simeon and Benjamin was on the border). Although Israel is much more prosperous than Judah, it is the latter that the Deuteronomist editor is more interested in, and of course the author of Matthew’s gospel. There would be nineteen kings in Ephraim in c. two hundred years before it fell to the might of the Assyrian army and the majority of people were deported in 722 B.C. Hence the expression “the ten lost tribes of Israel”. Those who remained and intermarried became the Samaritans. The two great prophets, Elijah and Elisha figure prominently in the history of those two centuries. Judah had twenty kings, and each ruler’s faithfulness and success was gauged against David’s faithfulness to the Lord. All but three are found wanting. Those who did what was right were Asa, Hezekiah and especially the boy king, Josiah who was killed in battle against the Egyptians on the plain of Megiddo in 609 B.C. His son, Jehoashaz, adopted a pro-Babylonian policy Necho, who took him prisoner and after only three months as king, lived the rest of his life in exile in Egyot. Necho then set up a puppet king, Jehoiakim (Eliakim), Josiah’s second son, who later transfers his allegiance to the Babylonians, and then in 601 B.C. decided to rebel against them. From that moment it was only a matter of time before Judah was invaded by the rising Babylonian army under Nebuchadnezzar. Jehoiakim died before the city fell and the last king to rule a free Judah was Jehoiachin before he was carried off to Babylon when it us invaded by Nebuchadnezzar in 597 B.C. (2 Kgs. 23. 31 – 24.20). He appointed the third brother, Zedekiah, to be a puppet king and for eleven years he was a faithful vassal. Then he turned against Babylon, but worse still he tried to flee from the city and deserting his people. It failed, he is blinded and taken hostage to Babylon. His treachery resulted in the complete destruction of Jerusalem, its wall, fortifications and no less the temple after a siege that left the people starving and defenceless. Most of the people and treasures were taken to the waters of Babylon. A pitiless scene is portrayed of that desolation in 2Kgs. 25. If I do not remember thee, let my tongue cleave to the roof of my mouth: yea, if I prefer not Jerusalem in my mirth (Ps. 137 5-6). One of the positive outcomes of the monarchy under David and Solomon was to train scribes. From this time comes the J version of thePentateuch and History which of course glorifies David. Bathsheba, the adulteress, and wife of David. Gave birth to Solomon the builder of the Temple. 2 Sam. 11.2 -5; 1 Kgs 1. 28 – 40. Why does Mt. make a point of this and indicating that she is the wife of Uriah? After all it was David who desired her. (2 Sam. 11) And had Uriah killed when he knew she was pregnant. Is it to pre-empt Joseph’s dilemma? He had thought that Mary had been unfaithful until God intervened. But surely there is a great difference. Does not this statement echo the tragic aspect of D’s own life when his sons fight to become his successor that spring from his great sin. Jesse begat David (Ruth 4. 22). Our introduction to David is when the prophet Samuel has been sent by Yahweh to anoint the new king to replace Saul who was of the tribe of Benjamin, and for Matthew of no consequence in the genealogy. O.T. makes clear that Jesse was a Bethelemite (1Sam. 16.1). David, the youngest is minding the sheep when Samuel has Jesse’s sons appear before him. None favoured the Lord. This made the seer enquire are all here? To which Jesse replied the youngest is in the field (I Sam. 16.11). When he appeared before Samuel, “the spirit of the Lord came upon David (I Sam. 16.13). Although David is anointed before Saul’s died, and David respects Saul as the Lord’s anointed, it is obvious that David is the favoured one. “Saul has his thousands but David has his ten thousands,” so the people chanted. Just as a jealousy developed between Saul and Samuel, so it did between David and Saul. For awhile David lived the life of an outlaw (1 Sam. 21.11ff) dodging Saul but also at times letting him know he could have taken his life. One example is David’s cutting off a part of Saul’s clothing in a cave (1 Sam. 24 5-7). David in desperation even seeks employment with the Philistines (1 Sam.27). After Saul’s death at Gilboa with Jonathon and other members of his family, David does not seize power immediately but waits upon the Lord to direct. The tribe of Judah anoint him as king and he makes Hebron his capital. It would be seven years before the rest of the Israelites accepted him as king, and thus uniting the tribes for the first time (2 Sam. 5 1-5). David conquers the Jebusites through the skill of his general, Joab, and takes Jerusalem, that becomes the holy city (2 Sam.5.6-9). The Ark is brought to Jerusalem by David, in whose presence he danced and celebrated (2 Sam 6.12-19). David considered building a place of worship for the Lord (2 Sam.7.6 -7). David commits his great sin, but in doing it his son by Bathsheba who continued the dynasty. But because of his sin David’s later life is one of turmoil and anguish as his sons turn against him. Absalom rebels openly against him, and eventually he is slaughtered by Joab. When news reached David of his death, he took himself to the city gate weeping and saying, “my son Absalom!, my son, my son Absalom, I would have died for thee, Absalom, my son, my son” (2 Sam. 19. 1). This must be the most moving line in Scripture. In the Psalms David often appears as a symbol of God’s love for Israel. One example is in Psalm 89. And I will make him my first born: higher than the kings of the earth. My mercy will I keep for him for evermore: and my covenant shall stand fast with him. His seed also will I make to endure for ever: and his throne as the days of heaven (89. 28-30). David reigned for forty years and “slept with his fathers” but in reality he died a feeble old man. Still he is remembered as a man of contrition and prayer whom the Lord anointed and blessed as His favourite. More than this he has always been held as the ideal king from the tribe of Judah, and from his issue would come the promised Messiah. David begat Solomon of her that had been the wife of Uriah. This is another example of the eldest not succeeding and was the result of intrigue from Bathsheba and Nathan when Adonijah, another son, with the support of the commander in chief, Joab, and Abiathar, the leading priest, were also plotting for the throne. The latter failed and were assassinated, except Abiathar’s position spared him his life. 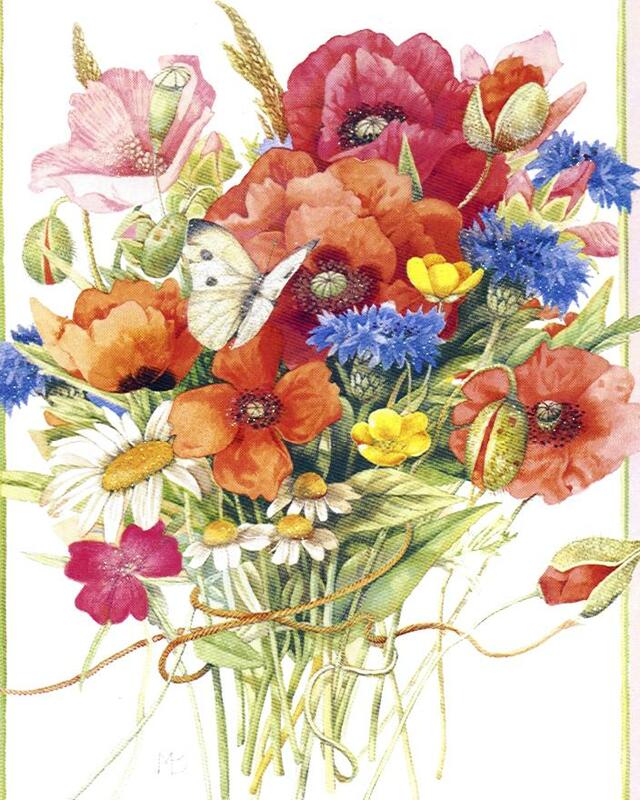 His exile left Zadok the leading priest 1Kgs.1). He first appears when David captured Jerusalem and he may have been a Jebusite priest. Subsequent references to Zadok indicate him to be a descendant from an important line (1 Chron. 6.3-8, Ezek. 43.19). Dead Sea Scrolls also unveil the significance of the “sons of Zadok”. “Zadokite Fragment” has been discovered belonging to a similar community to that ay Quaram, which expressed it concerns for the maintenance of the Zadok priesthood. Apart from his massive building programme that included the construction of the temple Solomon was known for his wise and prosperous reign. Hence the visit of the Queen of Sheba (1 Kgs. 1.13). He was an able ruler. Trade more than warfare was a feature of his kingship. As he controlled the territory of Edom he was able to use the port at the head of the gulf of Akaba for his trade with Ophir. The blot on his character was allowing the erection of altars for foreign gods. In line with this the Deuteronomist editor of Kings stated that he did what was evil in the eyes of the Lord by forsaking Him, and by not following his father. Theologically this is the reason for division in the kingdom (1 Kgs.5- 13). Rehoboam lacked his father’s wisdom, and although he travelled to the ancient shrine of Shechem to parley with “all Israel” the northern tribes broke away and chose their own ruler. They declared, “What share have we in David? We have no lot in the son of Jesse” (1 Kgs. 12. 1-17). Judah was left a tiny and weak state, separate from the great trade routes that proved a strength in the long run. Rehoboam and the people worshipped idols and so his reign was no better than that in Israel. He spends his time warring against Israel and Egypt. The latter sacked the temple and palace and took away all the beautiful ornaments Solomon had crafted. However he is a descendant of David, and so he is buried with his forefathers (1 Kgs. 14.21-30). Obviously the editor disapproved of Abijah as he followed the way of his father by worshipping idols and warring with Jeroboam. His heart was not “like the heart of his grandfather David” (1 Kgs. 15.1-8). Later copyists noticed that Matthew confused the Psalmist Asaph (title of Pss. 50, 73-83; I Chr. 16.5-37; II Chr. 29.30 with King Asa of Judah (I Kgs. 15.9 – so name changed. At least Abijah had done the right thing for Judah in having a son, Asa who won favour in the sight of the Lord. In his forty-one years as king he banished all cult worship. Asa banished the Queen Mother, Maacah who venerated a Canaanite goddess, while he filled the temple with precious gifts. He was also involved in border warfare. His valour and accomplishments were written in the book of Chronicles (1 Kgs. 15. 9-24). He is one of three who followed in the faithful footsteps of David and was buried with his forefathers. During his twenty-five year rule, Jehoshaphat followed the way of his father, Asa, by continuing the removal of cult worship. Nevertheless worship continued in the high places. He too is buried with his forefathers (1 Kgs. 22.41-51). Perhaps during his reign he joined Ahab in a campaign against Ramoth-Gliead, but many scholars believe that originally the kings involved were anonymous and these two names were only added later (1 Kgs. 22. 1-35). Joram ruled for eight years, and it is deduced that as he married to Ahab’s sister, he followed the way of the kings of Israel. Edom revolted but was crushed, but Libnah was successful against Judah. Consequently he did what was evil in the sight of the Lord. Still Judah was not destroyed because of Yahweh’s promise to David, and Joram was buried with his forefathers 2 Kgs. 8. 16 -24). This is one of the great omissions by Matthew. There are at least 3 generations between Joram and Uzziah. The complete list reads as follows: Joram, Ahaziah, Jehoash, Amaziah and Uzziah. [Ahaziah’s mother was Ahab’s sister, so the deuteronomist’s judgment is that he is like Ahab and does evil in the sight of the Lord He only rules for one year as he was killed in Jehu’s coup d ‘ état (2Kgs 8.22-26). Athaliah , the queen, seized power by a murderous coup d ‘ état. She had all the likely candidates eliminated, except Joash, who was saved by the high priest, Jehoida, and his wife Jehosheba who hid him in the temple. Athaliah had a Tyrian temple to Baal erected with its own chief priest, Mattan. She was the only ruler not from the tribe of Judah to rule in the southern kingdom (2Kgs. 11.1-3) before the exile. In the 7th year of her reign Jehoida proclaimed the seven year old Joash king in the temple’ Athaliah was slain, the Baal temple demolished and Mattan also slain. The success of his reign is due to the guidance of Jehoiada. He made an arrangement with the priests that they may keep the monies they receive but in return they maintain the upkeep of the temple. However he does not rid the kingdom of idols – worship still continues in high places. Joash is slain by two officials and perhaps it was related to his buying off Hazael of Damascus with the treasures from the temple. He too is buried with his forefathers (2 Kgs. 13.10-25). He is followed by his son, Amaziah who slew his father’s assassins but his reign was disastrous for Judah. Although he won a victory over Edom, he immersed himself foolishly in combat with Jehoash of Ephraim/Israel that resulted in his capture after his defeat at the battle at Bethshemesh, and for Judah, dismantling some of its fortification and carrying off the rest of the treasure in the temple. He too allowed the high places to remain and was also slain as a result of a conspiracy against him after a reign of twenty-nine years. Although killed outside of the holy city his body was brought back to be buried with his ancestors (2 Kgs.14 .1-20). He too was young, 16, when he began his rule, a reign that lasted 52 years. It was a prosperous time as Judah was able to control Edom sufficiently to access the port of Elath. The Chronicler tellss us that he strengthened the fortifications of Jerusalem, built irrigation schemes, reorganised the army, captured Philistine cities on western frontier, and made successful campaigns against the desert dwellers in the east (2 Chr. 26). However some time in his life he contracted leprosy (2 Kgs. 15.5). According to the Chronicler this happened when he usurped the role of a priest (2 Chr. 26.16-23). But according to the Deuteronomist Uzziah did what was right in the eyes of the Lord, even though the high places remain. He too is buried with his ancestors (2 Kgs. 15.3). Jotham had been prince regent for his father. Although he pleased the Lord the high places remained. Pekah of Israel and Rezon of Damascus had formed an alliance against Assyria and want Judah to join, but Jotham refused. He died before Jerusalem was threatened and was buried with his forefathers (2Kgs.15. 32-35). It is Ahaz who bore the brunt. All this is vividly described in Is.7 when he described the hearts of Ahaz and the people trembling like the leaves of the forest. Was this the time he sacrificed his son just as Mesha of Moab did in a similar plight? Isaiah pleaded that he keep calm, and as he refused to join the anti-Assyrian league he won the support of Tiglath-pileser. Nevertheless Ahaz sends him a costly present from the treasures of Jerusalem. The Assyrian leader captured Damascus. Isaiah had tried to tell him to trust in Yahweh rather than the Assyrian might. However Ahaz does worse. He replaced Yahweh’s altar with an Assyrian one. So he encouraged worship at high places, and of course did evil in the sight of the Lord. Still he was buried with his forefathers (2 Kgs. 16. 1-20. It is probably about this time that Isaiah depicted the ideal rule in ch. 11 vv. 1-9 where all is peaceful, and perhaps it indicated too that Hezekaih was not the ideal ruler after all. It is justice and innocence not might and force that are the ideal for peace. Isaiah had opposed Hezekiah on his anti-Assyrian policy. Although almost a remnant in this Assyrian dominated world, Hezekiah held fast in his darkest hour when Jerusalem was besieged and he was rewarded for his faith. Sennacherib retreated but richer for the bounty that Hezekiah gave him. Hezekiah is also remembered for building the Siloam tunnel that assured the city of maintaining its water supply even when besieged. After Hezekiah’s illness and healing, Isaiah prophesied that Babylon will invade and all will be carried off to that foreign land. He too was buried with his ancestors (Is. 39; 2 Kgs. 18.1 -20-21). Unlike his father Manasseh’s actions guaranteed the end of Judah as they were unforgivable in the sight of the Lord. For the Deuteronomist historian he is the worse ruler, highlighted after fifty-five years of rule by the statement, he is buried “in the palace garden, the garden of Uzza” rather than with his ancestors. What did he do to have such scorn thrust upon him? He desecrated the temple with innocent blood, and violated its sanctuary with idols, restored the high places that his father had abolished. He certainly broke the Davidic covenant of fidelity to the Lord. Of all the sins that had been committed against Him since Egypt, Manasseh’s were the worst (2 Kgs 21. 1-18). Although he only ruled for two years he too did evil in the sight of the Lord by following his father’s ways. He was assassinated, probably over a political situation that had little support as the assassins were also slain (2 Kgs. 21.19-26. Josiah is looked upon as the model king – he who did right in the sight of the Lord. He is the most worthy descendant of David. With the sudden death of his father he is only eight years old when he succeeded to the throne. When he came of age he cleansed and restored the temple just as Joash had after Athaliah. During the restoration the Book of the Law is found. To evaluate its contents Joasiah ordered Hiliah, the high priest, to take the book to the prophetess, Huldah, who would pronounce the Lord’s judgment. Her announcement is two-fold 1. Judah will be punished for its sins. 2. This will not happen until after Josiah’s death because of his faithfulness. When the Book of the Law was read in the presence of all the people it recalled Moses’ command for this to be done (Deut. 31.9-13) while the covenant renewal to Yahweh recalled those renewal ceremony as illustrated under Joshua (Josh. 24.25-27) and under Jehoida (2Kgs. 11.17-20). J osiah also abolished all idols throughout the land, even those going back to the time of Solomon and even household idols and gods. All had to be in strict concurrence with what was written in the Book of the Law. He also commanded the keeping of the Passover of the Lord as prescribed in that book as it had not been kept for years. His servants brought his body on a chariot from Megiddo to Jerusalem, where they buried him in his own grave (2 Kgs. 22.1 -23.30). Actually he was the grandfather, not father of Jehoiachin (another generation omitted). Josiah was father of Jehoashaz who succeeded him and ended in exile in Egypt after he was taken prisoner by Necho and the people had to pay a ransom (2 Kgs. 23. 31- 35). His brother, Jehioakim succeeded him, appointed by Necho. The book of Jeremiah gives a sketch of him. Despite the exactions from the Egyptians, he spent lavishly on building programmes for his own aggrandisment and cared little for justice. Constantly opposed by Jeremiah who warned of the oncoming doom for Jerusalem from the hands of the Babylonians, he became a vassal to Nebuchadnezzar and revolted, resulting in disaster but died before the consequences are felt (Jer. 22.13-19, 2 Kgs 23.36- 24.9). He too did evil in the sight of the Lord. So Jehioakim’s son, Jehoiachin, began his reign just before the Babylonian captivity and is carried off (just 3 months). Isaiah had foretold this to Hezekiah ( 2 Kgs. 20.17-18). Jehoiachin is also seen to have done evil in the sight of the Lord (2 Kgs. 24. 8-9). The Babylonians enthroned a puppet king, Jehoichin’s uncle, Zedekiah. The most vivid impression we have of him is through the book of Jeremiah. He sought the prophet’s advice on at least two occasions (Jer. 21.1-7, 37.3-10) but perhaps the same incident. He did not heed his advice and abandoned Jeremiah and others to the enemies by rebelling, but then tried to escape from Jerusalem. He is caught and blinded and taken to Babylon ( 2Kgs 25.4-7). Whether it was because of his treachery, the book of Ezekiel, regarded Jehoichin as the rightful king throughout this period. In a sense Zedekiah is responsible for the destruction of Jerusalem including its temple. So as far as the Deuteronomist editor is concerned he too does evil in the sight of the Lord. 3RD BEGINNING - THE EXILIC AND POST-EXILIC PERIOD FROM JEHOIACHIN TO JOSEPH - 586 B.C.- 4. B.C. The third section begins with the sons of Jechoiachin. It is the younger son, Zerubbabel who is prominent in the restoring of the ruined Jerusalem. Perhaps the book of Jeremiah gave the most accurate account of how many Israelites were actually in exile. Jer. 52.28 a figure of 3,023 was given for those taken in 597 B.C. ; Jer. 5.29 a figure of 832 for 586 B.C. and 745 in a third deportation in 581 B.C. It has often been assumed that only the very poor were left behind in Jerusalem but this was not so. Probably about ten percent of the population lived in exile. If I forget thee, O Jerusalem: let thy right hand forget her cunning (Ps. 137 1-3). What of those who stayed behind in Jerusalem? Gedaliah had been appointed as governor by Nebuchadnezzar but he met a violent death at the hands of a gang led by Ishmael, a member of the royal family who supposedly saw him as an usurper. Probably he was replaced but there is no record of it (Jer. 40.5 – 41.8). Conditions were very much harder for those in Jerusalem than those who lived by the waters of Babylon. For example they would have been heavily taxed as well as a limitation on resources We can gauge something of its plight from the Book of Lamentations. It is an acrostic short book which portrayed the holy city as a widow. She is personified as “daughter Sion” who weeps bitterly for her loss. once so great amongst the nations! she has become a slave. and become her enemies (1.1-2). However there was a glimmer of hope amongst all this disaster. Although Yahweh poured out his anger upon His people, the Israelites can still express a trust in God. they are new each morning; great is your faithfulness. therefore I will hope in him (3.21-4). After the fall of Jerusalem the Edomites invaded, an action that is condemned by the prophet Obadiah. in the time of his misfortune. in the day of his disaster (10,12). By 539 Cyrus was able to enter Babylon and of course defeat the Babylonians. The deliverance that had already been prophesied by Deutero -Isaiah came to pass for the Israelites and the exiles were free for those who wished to return to their home. that her iniquity is pardoned (40.1-2). Deutero- Isaiah seemed anxious about being a prophet of this renewed opportunity of salvation. “What shall I shout?” he announced. That Yahweh who is the creator of the cosmos in whom all have its origin will also indeed shepherd his flock and give strength to the fainthearted. walk and not become faint. Is. 40.31). Another of his message was that Yahweh is not going to judge Israel and that He will perform things never done before. “Behold the former things have happened, and new things I now declare” (Is. 42.9). So from now onwards Israelites, stop remembering those former things, and behold those new things. This new exodus is one of the new things Yahweh is doing for His people. All through Deutero-Isaiah’s writings there are comparisons with the Egypt exodus (42.10-11, 43.9-10, 43.16-21, 49. 7-12, 51.9-10, 52.7-12 and 55.12-13). They will be fed and given drink as their forefathers were by Moses (41.17-20, 43.18-20, 48-20-1, 49.10). they also will be guided just like those of old were led through the wilderness (Is. 40.11, 49.9-11, 43.16-21). They too will pass though fire and water (51.9-10) and have an ew conquest of the promised land (49.8-12). Another important feature of this prophet’s utterances is the restoration of Zion. It will be the centre and symbol of God’s presence but perhaps even more importantly the seat of His kingly rule. Interestingly, Deutero-Isaiah did not speak of a return of the Davidic king. Ch.55.1-5 manifest clearly that it is Yahweh that will establish the covenant with the whole people and rule over them and nations directly from his throne in Zion. The Chronciler – responsible for Chronciles, Ezra and Nehemiah gave the impression that all wanted to return home but this is far from the case. Many did not return. The Chronicler had Cyrus issue a proclamation to the effect that Yahweh who had given him the kingdom had bidden him to build the temple in Jerusalem and for all to return. Cyrus returned all the treasures looted. The names of the exiled are listed who join with their kinsmen under the leadership of Zerubbabel and Joshua the High Priest to rebuild the temple. From the prophets Haggai and Zechariah it would seem that the first lot of exiles left under Sheshbazzar in 538 B.C. Probably conditions were difficult, and the start they made on rebuilding the temple never progressed beyond laying the foundation. It is clear that the exiles were not welcomed either by those who stayed behind in Jerusalem or by the inhabitants of the old northern kingdom. The prophet Haggai tells us that he began to prophesy in the 2nd year of King Darius, 520 B.C. in order to rouse Zerubbabel and Joshua to undertake the rebuilding of the temple and to re-consecrate the land to Yahweh. He exhorted personal holiness to accompany the rebuilding (1.14-5). Hence a second group of exiles left under Zerubbabel and Joshua c. 518 and set out to do this, and after proving to the governor of Samaria that this was the intention of Cyrus (the scroll was written in Aramaic, and is important evidence that this had become the international language in the Persian empire) the work proceeded. It was finished in 516 B.C. Zechariah’s account put more emphasis on the role of the high priest that will become even more important as time progresses in the restoration. Trito- Isaiah, a prophet living in Jerusalem after the exile, condemned the sins committed by her people (Is. 58.1-9, 59.9-15, 65.1-7). Although he spoke of the love of the “Holy One of Israel” for Jerusalem, his emphasis was more on the need for faithfulness, humility and repentance. These were more important than external rites and forms. Then surely Yahweh will dwell in their midst and there will be peace (chs.63-5). One of the main shifts from pre to post exilic time was a shift of leadership under the house of David to that under the priests and levites and all that was symbolised by that. This is particularly seen in the work of the Chronicler (1 & 2 Chronicles, Ezra and Nehemiah). It is made clear that priests can only come from the descendants of Aaron, but levites can be helpers such as doorkeepers, sacristans and guardians of the temple (1Chron. 23-26). The High Priest has authority even over a king (2Chron. 19.8-11, 26.16-21). Note that Ezekiel had declared that the high priest comes from the family of Zadok (44.10, 15). Temple worship is imperative, holy things are reserved to priests and levites, marriages with non-Jews are forbidden and obedience to the Torah becomes necessary. This law is clearly the priestly regulations rather than the deuteronomic law book in 2 Kgs. 22 (1 Chr. 6.48-9, 24.8-9). Ezra, a priest descended from both Aaron and Zadok is sent by Artaxerxes (probably the second) in 397 B.C. to restore the religious practices of the Israelites (Ezra 7.10, 14, 25-6). On arriving he found a neglect of the proper sacrifices and worship and of intermarrying with pagans. Ezra called an assembly where the people made a public confesson of their sins and agreed to put away their foreign wives, observe the weekly Sabbath and to pay the annual temple tax. In the next assembly he read the Book of the Law to the people. Once again the people acknowledged their sins and promised to obey the Covenant. During all this the priests and levites supposedly explained the meaning of the law. At the end of this ceremony the people celebrated the week long feast of Tabernacles in its pure form (Nem. 8.-9). Jewish tradition in the Talmud has generally recognized Ezra as the one who established which books in the Old Testament were sacred, and thus canonical. That is why Ezra is often called “the father of Judaism”. Nehemiah’s name is always associated with Ezra. Most scholars believe that he preceded Ezra, and as a “royal cupbearer” was sent by Artaxerxes I in 445. B.C. after he had persuaded the king to make him governor of Judah to rebuild the walls of Jerusalem. After he arrived Sanballat, governor of Samaria, Tobiah, governor of Ammon, and Geshem, governor of Edom sent troops to prevent the fortifications. Hence it is said that Nehemiah worked at lightning speed and had the wall erected in 55 days. His first term of office expired in 433, and a year or later he was reappointed. On returning he found the all things in disarray. All this links with the later reforms of Ezra. The exilic and post-exilic periods produced much of the bible as we know it to-day. We have just seen that the Chronicler wrote his own history. The Deuteronomist history began in the time of Jeremiah with the discovery of the Book of Law in the time of Josiah. This forms a significant part of the book known as Deuteronomy. During the Exile the Deuteronomist editors took material from Deuteronomy through to Kings “The former Prophets” according to Hebraic tradition and rewrote it all. For example in Deuteronomy Moses is portrayed as the great Lawgiver. From now onwards the Law becomes very important, and is constantly referred to as the Mosiac Law. Other themes which comes from this book are the shema (the great commandment (6.4); and to choose life rather than death (30.15-20). This book thus proclaimed the covenant that God had made with His people and when His people were unfaithful He punished them. The books that follow, follow this mould. When Israel or Judah sinned it was punished and when the Israelites turned to the Lord they prospered. Those rulers such as David who served the Lord faithfully were seen to have done what was right in the sight of the Lord, and those who such as Manasseh were seen as doing evil in the sight of the Lord. Another writing was the Priestly account which added its own agenda to the first four books of the Pentateuch. Israel must be a religious and holy community focused on its reverent worship with its proper rites and ceremonies. Therefore we see in Genesis 17 the sign for the covenant; in Exodus 12 the formula for the Passover liturgy; and in Numbers 17-8 the directions for the Aaron, priests Levites and tribes. The time in exile made such editors ask why are we different from others? What sets us apart? One answer was the rite of circumcision ; another was the delivery from Egypt; another was the Covenant. It would seem that the Davidic line died out. The High Priests assumed a more important role and became a political figure. Perhaps this why the name Zadok is mentioned in Matthew’s third section of the genealogy. During the Hellenistic period life was peaceful until the Seleucids took control of Palestine. Disaster struck when Antiochus IV’s tried to impose pagan idols in the temple and to prevent faithful Jews keeping their food laws. An uprising led by Judas Maccabeus defeated the Seleucids and in 164 B. C. purified and rededicated the temple to Yahweh. The ceremony to celebrate this is Hanukkah, now observed close to Christmass and is a time of great rejoicing. Judas was killed in battle and was succeeded by his brother Jonathon. When Antiochus V died there were two claimants to the throne: Alexander Balas and Demetrius I. The former appointed him as the high priest but his involvement in Seleucid politics led to his death. He was followed by the third brother, Simon. It is he who is responsible for the dynasty called Hasmoneans. He too and two of his sons were murdered. Another son John Hyrcanus continued the line of high priest and proved a capable military leader. He took Samaria and destroyed its temple on Mt. Gerizim to try and force Samaritans to worship in Jerusalem. Hyrcanus had the support of the Sadducees, and although he did not take the title of king, there is little doubt that he saw himself as restoring the Davidic-Solomonic empire. He in turn was succeeded by his eldest son, Aristobulus I. He took the title of king but died suddenly was succeeded by Alexander Jannaeus. As the name suggests he was an avid supporter of Hellenism. Pompey marched into Palestine in 63 B. C. and from then on rulers were only puppets of the Romans. At the time of the birth of Christ that ruler was Herod the Great. His rule brought an end to the Hasmoneans. He is the first son of Jechoiachin (Ezra 3,2,8) but in Scripture he is always associated with his son Zerubbabel. This is how various books describes him e.g. Ezra 3.2,8; Neh. 12.1; Hag 1.1, 12.14; Sept. 1 Chr. 3.19, but Hebrew 1Chr. Has him as the son of Pediah, who is the brother of Shealtiel. What is important is that he is the governor appointed by the Persians for Judah. 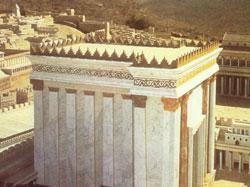 Under him the rebuilding of the temple commenced after the exile in Babylon. In this part of the genealogy it is the last name that appears in the Old Testament and the last of authentic Davidic descendants. He also appears in the Lucan list. In the list of Zerubbabel’s eight children in 1 Chron.3.19-20 Abiud does not appear. The post-monarchical list in 1 Chr 1.19-24 have Zerubbabel followed by Hananiah, Shecaniah, Hattush, Elioenai, Anai. This name is not mentioned in the O.T. The mention of Zadok, not of the priestly tribe or of the tribe of Judah, but the name of the leading priest who became significant during the reign of David is of interest. He played an important role in assuring that Solomon would succeed David. Later on Ezekiel announced that priests should come from this family. Jacob begets Joseph, the husband of Mary of her was born (begotten) Jesus, called the Christ. 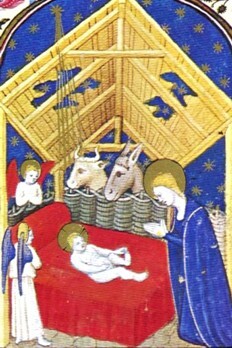 The author is careful to emphasise that Joseph is not the father of Christ. Later we shall learn that Joseph looked upon Mary suspiciously until God intervened. Hence her link with the other women in the genealogy. It would seem if Joseph and Jesus were descendants of David it must have been through a lateral branch of the family rather than direct royal lineage. In fact during Christ’s life there is not anything that hints of ancestral nobility, as He appears as one of an unimpressive background from an unimportant village. As there is no record of the above mentioned people was there a Joseph genealogy that Matthew had access to, and is now lost? We shall never know where the author of Matthew’s gospel found the above names.